Game of Thrones is all about tearing apart the characters you love and stamping on what remains of your heart, right? Well, the show’s penultimate season may actually try to repair those remains with a long-awaited reunion. Filming is well underway for Game of Thrones season seven, but new pictures that emerged this week from the set might just indicate that the Starks are getting the proverbial band back together (that is, if the band was armed with sharp weapons instead of instruments, and the band members were pissed-off Stark kids ready to stick it to the Lannisters once and for all). The evidence? New paparazzi pictures of Maisie Williams and Isaac Hempstead-Wright on set together... although not quite in costume yet. The image of the two together in a production make-up trailer, first provided to Watchers on the Wall, seem to indicate that the two Stark kids have been filming scenes together—Winter is Coming verified with the original photographer that the images were taken September 23rd, the same day that images of Kit Harington, Gwendoline Christie, Aiden Gillen, Liam Cunningham, and Bella Ramsay (who stole the show as Lyanna Mormont last season) were all taken at the same location. This does not necessarily guarantee that these actors are all sharing scenes together—but the fact that they are all on set at the same time could at least indicate that one way or another, what remains of the Stark family and their allies could come together next season. It’s certainly a big hint, if not quite solid confirmation just yet. 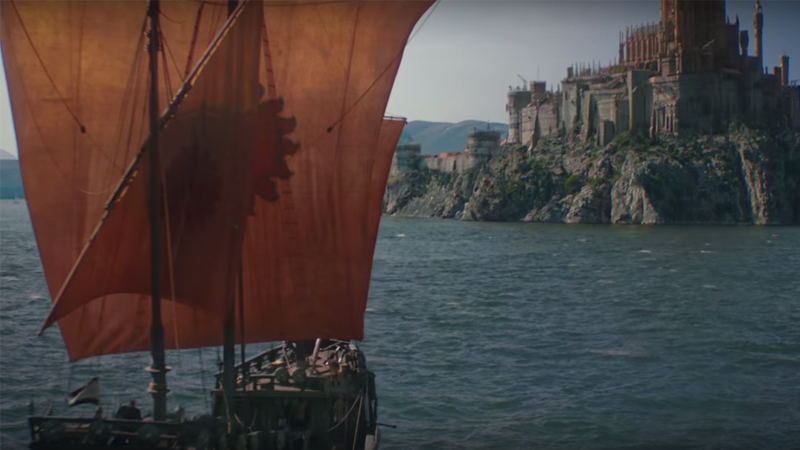 Could a Long-Absent Character Be Making Their Return to Game of Thrones?